The Asia-Pacific edition of the Sustainable Cosmetics Summit will once again be hosted at The Excelsior Hong Kong, on 12-13th November 2018. The hotel is one of Hong Kong Island's most renowned hotels with its prime location overlooking Victoria Harbour. It is conveniently located in the centre of Causeway Bay, Hong Kong's shopping, entertainment and business district. 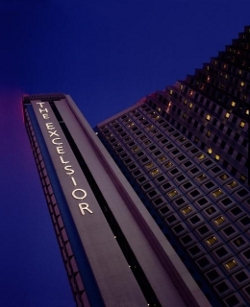 A limited number of rooms have been booked at special rates for delegates looking to stay at the Excelsior Hong Kong. Please contact us for booking details.